Since 1990 (and the compounded effects of the global financial crisis), the Southern United States’ wood supply chain has lost 30% of its sawmills and nearly 20% of its pulp mills. With mill capacity shrinking, rural communities that depend on mill demand for labor and other production inputs have suffered dramatically. In the wake of this negative environment, MuniStrategies invested $11.8MM in this Moultrie, GA sawmill upgrade and reconfiguration, as part of an overall $28.4MM expansion. The NMTC financing provided the funds to fully the realize the capabilities of the reconfiguration and upgrades of the sawmill, drying and finishing processes. 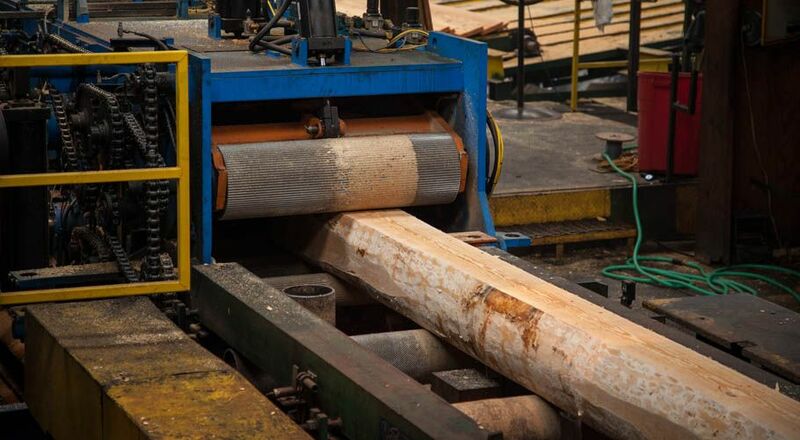 This investment was critical in strengthening the long-term viability of this 70-year-old mill by increasing production capacity and significantly reducing costs to better weather various market cycles associated with the commodity lumber market. Economic: This investment is stabilizing a major employer and purchaser of fiber and goods and services in the local economy of Moultrie. The local economy is heavily dependent on the long-term viability of this mill and its support of the region’s volatile forestry industry, which includes numerous transportation and logging businesses that support the Moultrie sawmill operations and are also major area employers as well. Jobs: As a result of this project, the company added 10 new, quality, fulltime and permanent jobs to its existing workforce of over 90 jobs with many targeted at “middle skill” levels attainable with provided training. There are also 30 new logging/hauling jobs resulting from the expansion and an increase of approximately 54 truckloads per week. Community: Beadles & Balfour participates in the Sustainable Forestry Initiative. Environment Policy and Sustainable Forest Management Commitments are developed and maintained by senior executives, approved by the President and CEO and reviewed by the Board of Directors. Workforce Development: The company has established a formal relationship with local vocational and technical groups (Southern Regional Technical College via Quick Start Georgia) to develop a training program that prepares students in rural Colquitt County with skills necessary to work in sawmills and other manufacturing settings. Beadles has committed $25,000 per year or $175,000 for the 7-year compliance period in retraining current and new staff operators. Canfor is partnering with Southern Regional Technical College’s Moultrie campus to provide this retraining. The mill donates useful replaced industrial and electrical equipment along with an annual donation of $5,000 to promote the industrial maintenance training department and to keep the industrial maintenance department current.